After a string of games against top-half opposition Fulham find themselves facing a team in the lower end of the league for only the second time in nine games. Can the Whites capitalise against a patchy Wolves side? Saturday’s stunning victory against Reading was the perfect tonic for Fulham’s unfortunate defeat against Brighton. There were doubts after the visit to the AMEX that we could cut it against the highest levels of opposition, and whilst the Royals were surprisingly poor at the weekend, the team laid down a huge marker and have certainly made pundits sit up and take notice. Wolverhampton Wanderers has not been a kind fixture to Fulham since relegation to the second tier. Aside from the two cup games in 2015, the record reads; four games and four defeats. Last season’s 3-2 defeat at Molineux was hugely stereotypical of the campaign as a whole; clinical up front, abysmal at the back. The form of the two sides has switched somewhat since. Wolves enjoyed a solid start of 8 points from 4 games. Then, back-to-back wins in September against Newcastle and Brentford saw Walter Zenga’s side move as high as eighth. However, nine games without a win saw Wolves move level on points with the drop zone, and Zenga was dismissed after just 87 days in charge. Championship heavyweight Paul Lambert is now in charge, and he picked up a slightly fortuitous win last Thursday against 10-man Queens Park Rangers which has stopped the rot and papered over the cracks for now. Generally Wolves play a counter-attacking 4-3-3 formation. Almost no doubt we’ll boss possession once more, but on several occasions this season, a lion’s share of the ball hasn’t lead to three points. Slaviša will know that if they are to move up the table, his team must start carving out more chances against teams that plan on soaking up pressure. With the top 6 all playing each other this weekend, a win is certain to move us within touching distance of the playoffs. Why change a winning formula? Well, as good as Tim Ream played on Saturday (and with no news yet on Ragnar Sigurddson) we’d still like to see Michael Madl partner Tomas Kalas at the centre of defence. Other than that, as you were please! Edwards has been a thorn in Fulham’s side before, and it’s telling that even after Wolves’ bad start to the season, he’s still adored by their fans as the lynchpin around which his team revolves. Kevin Macdonald is obviously no stranger to the way his formed midfield partner plays, and it’ll be his job to stop Edwards becoming a creative force in the game. 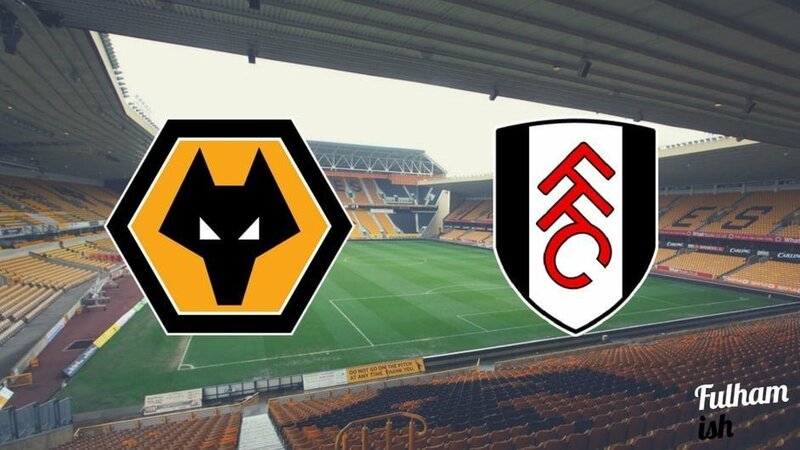 If the Whites No6 can put the shackles on Wolves’ No4, then Fulham will be on the right path to nullifying Wolves’ threat. This match has banana skin written all over it. We are on a high, but we have a bad record up at Wolves and they have a new manager chasing a first home win. However, we’re not going to let our fears get the better of us, 2-1 to Fulham! Founder and Host of Fulhamish Podcast, Hammy End season ticket holder and Radio Producer for Kiss FM. Was present for the Sunderland blizzard. Often found having a cold beer in Dr.Ink pre-game.